The people in and around Shelby Township know that they can trust our eye care team with their vision. We believe in tailoring all treatments to the needs of our patients, and providing ample information and honest assessments about vision and eye care options. When it comes to contact lenses, we always work with patients to ensure they get the contacts that best suit their eyes. We'll also offer tips on contact lens care to ensure patients get the most out of their contacts. Let's take a moment to consider why people would choose contact lenses over glasses and who would benefit most from contacts. Why Contacts Rather Than Glasses? Contact lenses tend to offer a greater amount of freedom than traditional glasses. For one, you don't have to worry about frames and external lenses. Sometimes glasses can fall off your face, or they may slide down your nose, making it difficult to see. This is a major challenge for people who lead active lifestyles. If you're an athlete or outdoorsy, the last thing you'd want to worry about is your glasses sliding off or falling off. None of these is an issue with contacts. There are no concerns with frame shapes sizes, and today contact lenses tend to be more comfortable than ever before. Candidates for contacts should have healthy and regularly shaped corneas. Sometimes irregularities with the frontal portion of the eye will affect vision quality and the ability for contacts to stay in place, so keep that in mind. 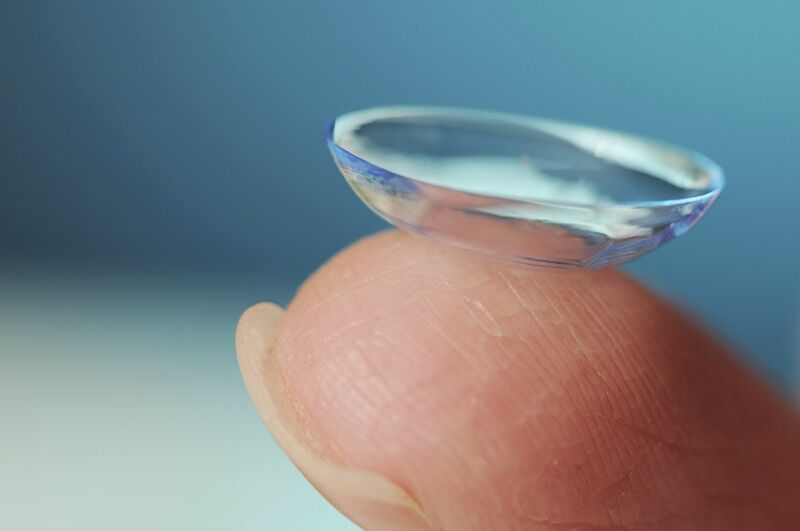 Other vision and eye health issues may prevent you from getting contact lenses. Thankfully there are special contact lenses that are available that may be able to accommodate patients who experience the above problems. The best way to find out if contacts are right for you is to meet with an eye doctor for a full examination. In general, there are a few types of contact lenses that are commonly prescribed to patients. Soft Contact Lenses – Classic soft contacts are made from a gel-like plastic that contains water (hydrogels). They are able to conform to the shape of a patient's eye. Silicone Hydrogel Contact Lenses – An advanced form of soft contact lenses, these porous soft contacts are the most popular types of contacts in the United States. PMMA Hard Contact Lenses – These are hard contact lenses made from rigid plastics. They offer better vision quality than soft contacts, but they are less comfortable since they can deprive the eyes of oxygen. Gas Permeabble Contact Lenses – These are porous hard contact lenses, which are more comfortable than PMMA lenses and offer comparable vision quality. Gas permeable contacts have all but replaced old-fashioned hard contacts. There are just a few options. There are other kinds of contacts out there that can address your unique vision needs. For more information about contact lenses and whether or not they are right for you, be sure to contact our laser eye care center today. The team at our practice looks forward to your visit and discussing your eye care options in greater detail.